Have you noticed recently that no matter how many likes your law firm’s Facebook page has, your new posts seem to reach fewer and fewer people? Sure, you can pay to boost your posts, and with options starting at $5, it seems like a reasonably cheap option. But you maintain your Facebook page for the free advertising that you can get through social media! Every dine you spend there is above-and-beyond what you had planned for! 1) Pony up and pay a little. Yes, I’m sorry that this tip had to be first, particularly considering how obvious it is. Unfortunately, paying for some advertising is the best way to get your posts seen by as many people as possible. Your ad buy can be as little as $5 to boost a particular post, but there are other things to keep in mind as well! 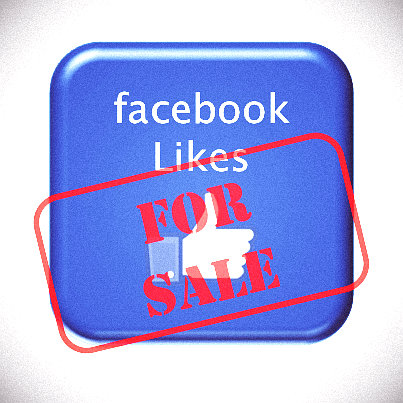 Your default setting will be to advertise to friends and people who have liked your page. However, you can also have your ad targeted based on geography, age, and interest, something I highly recommend. While those who have liked your page MAY be interested in your posts, how many are friends or family members who “liked” the page because you asked them to? It’s a waste of money to advertise to them, so make sure the ad goes to those interested in your post! 2) Reference a trending topic. 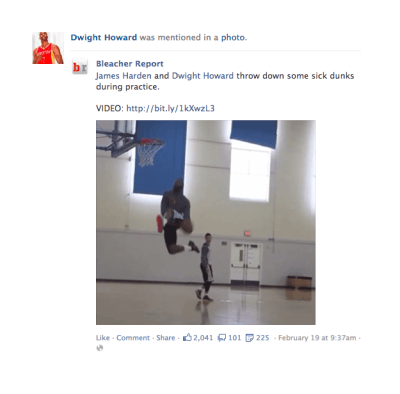 You’ve seen these posts – the post itself references a person, event or topic that is currently trending on Facebook. Guess what, there’s a reason! Facebook’s algorithm is more likely to show someone a post that contains trending topics, so think about this when you make your posts. Is your newest post not as topical, but one you wrote last year would be perfect? Think about reposting your old post, referencing the trending topic (but don’t repost too much!). Look at the box on the right of your screen to check out some of the most recent trending topics. Also, read through your news feed and see what people are talking about (look for other posts that contain the “trending” tag). While I absolutely hate the concept of the French radical: “There go my people, I must find out where they’re going so I can lead them!” – sometimes you need to follow the crowd a little to understand what exactly they’re doing. 3) Use post types that your Facebook audience prefer. Do your posts that contain pictures or video get a lot more interaction than the ones that don’t? How about generic status updates? Links? Figure out what your most successful posts contain and post more of them! The Facebook algorithm places items in a person’s news feed based partially on their viewing history – if they interact more often with pictures than video, they’ll see more pictures, less video. Facebook offers plenty of information in their page insights section, including which of your posts have received the most activity, and information about the people who have liked your page (from basic demographics all the way down to when they’re online). 4) Include links in your posts. 5) Make sure your profile information is complete. This one doesn’t seem to be completely germane to the point, but apparently it counts! If your company page has an incomplete profile, your posts are less likely to appear in the news feeds of people who have liked your page. This one is so simple to fix, it really shouldn’t be an issue. SO GO FIX IT! 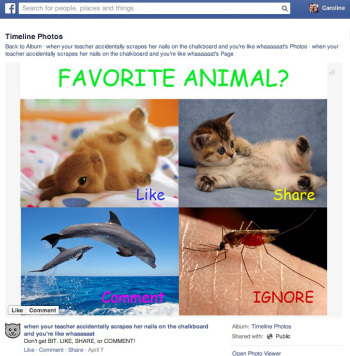 6) Encourage Facebook audience to like or share your content… but don’t say so in your content! This piece of advice is less about your individual posts than about how your posts are received. Facebook has made no secret about the fact that the number of likes or shares, along with when those likes or shares occur, have a dramatic influence on how frequently your posts will show up in someone’s news feed. Therefore, encouraging liking and, more importantly, sharing good posts improves you chances of being seen. This serves two purposes really. First, yes, it meets Facebook’s criteria for appearing more frequently. Second, and more critically, it allows your posts to be seen not just by your friends, but by their friends. It’s likely that only a small percentage of your friends on Facebook are lawyers, maybe as high as 20%. That’s pretty limited. But if half of your lawyer friends share your post, then the 20% of THEIR friends who are lawyers may see it too. So encourage your friends to share posts that they find interesting, but do NOT include those words in your post! That’s right, Facebook actually reduces the circulation of posts that directly ask people to “share,” “like” or “comment.” Even if the words are in the content of a picture, rather than the text of your post! 7) If it’s bad for website SEO, it’s bad for your Facebook audience. Facebook HATES click-baiting. Almost as much, it would seem, as Google does. Google is constantly modifying its algorithm to make sure that your website can’t use click-bait and keyword saturation to improve your standing. Facebook’s recent changes take them into account too. 8) Consider posting from your personal account, rather than your business page. This advice comes directly from social media guru Kevin O’Keefe. Considering the difficulty in maintaining exposure of company pages, Kevin recommends utilizing your personal account to keep engagement high (while still adhering to the suggestions listed above). This might work for some, but I know a lot of people who are not interested in mixing their professional profiles with their personal pages. This could also be more difficult for larger law firms. Whether you decide that your company’s Facebook page continues to provide the Return on Investment (ROI) necessary for your business, you should always be conscious of what you’re posting. Always avoid spammy posts and click-bait, and tailor your posts to your audience. If there are any other good suggestions that I’ve missed, please comment below!